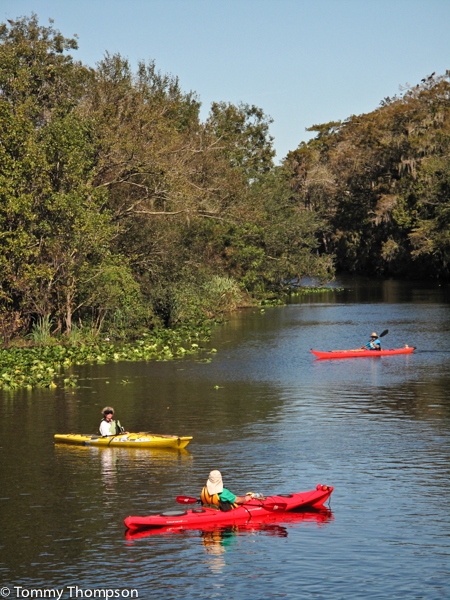 Our Natural North Florida rivers offer a variety of paddling opportunities. Paddling, whether solo or tandem, in a canoe or kayak, has become a popular sport nationwide. And there’s not place where it’s more evident than in our Natural North Florida region. We have rivers like the Withlacoochee, Waccasassa, Suwannee, Steinhatchee, Econfina, St. Marks, Wakulla and the Ochlockonee. We have lakes, like Newnans, Rousseau, Orange and Lochloosa. And we have springs, like Fanning, Manatee, Blue, Ginnie, Wacissa and Wakulla. Those are just the “big ones”. We have hundreds of “lesser” bodies of water on which to paddle. And I haven’t even mentioned all the paddlecraft launches along our Gulf of Mexico shoreline! 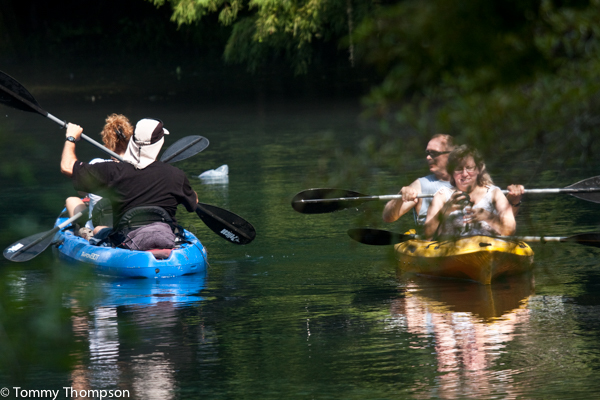 The advantage of paddling is that it not only keeps you healthy (exercise and fresh air! ), but it’s portable. Modern paddlecraft are lightweight and many can be easily slid onto a car’s roof rack by one person. And they’re comfortable. Gone are the days of backaches from paddling just a few miles. In fact there are boats like those from Hobie Cat that allow you to pedal! If you prefer a more organized, or a more lengthy adventure, check out the events sponsored by Paddle Florida. Paddle Florida, Inc. is a not-for-profit 501(c)(3) corporation organized to support canoeing and kayaking in Florida. Events expose paddlers to Florida’s natural beauty and rich cultural heritage while promoting water conservation, wildlife preservation, springs restoration and waterways protection. Paddle Florida also seeks to promote Florida as an international destination for nature-based tourism. Trips feature Florida’s most scenic rivers, canoe trails and coastal environments, including the Suwannee, Ochlockonee, and Withlacoochee rivers. 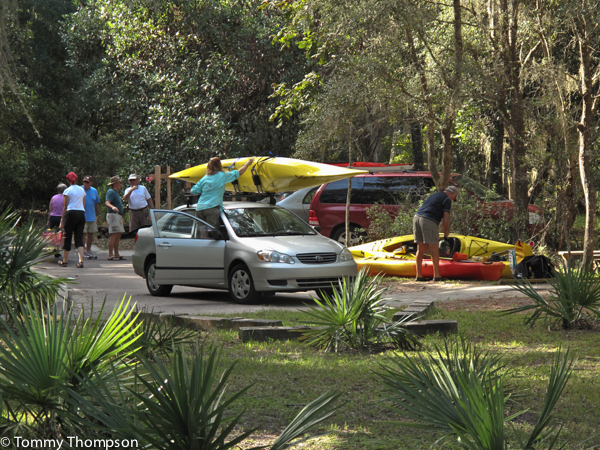 Paddling at Florida’s State Parks is popular. At Manatee Springs S.P., you can drive almost to the edge of the spring!